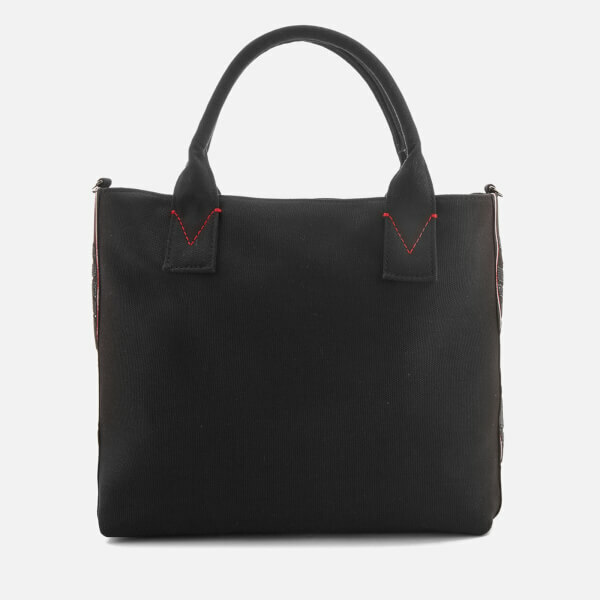 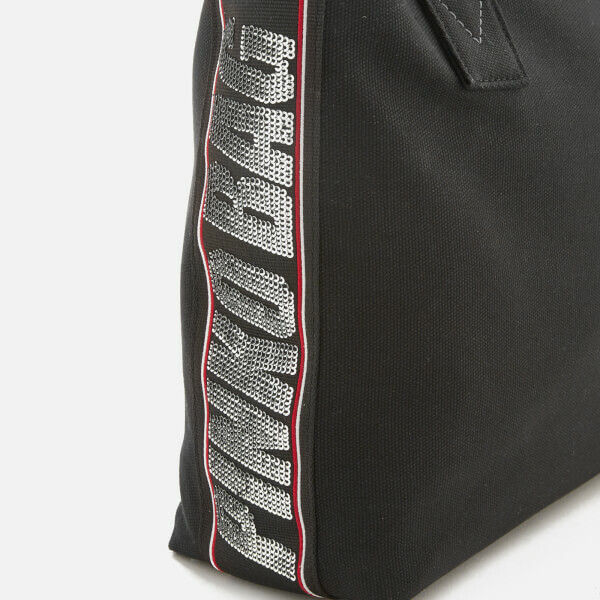 Women’s black shopper bag from Italian fashion house Pinko. 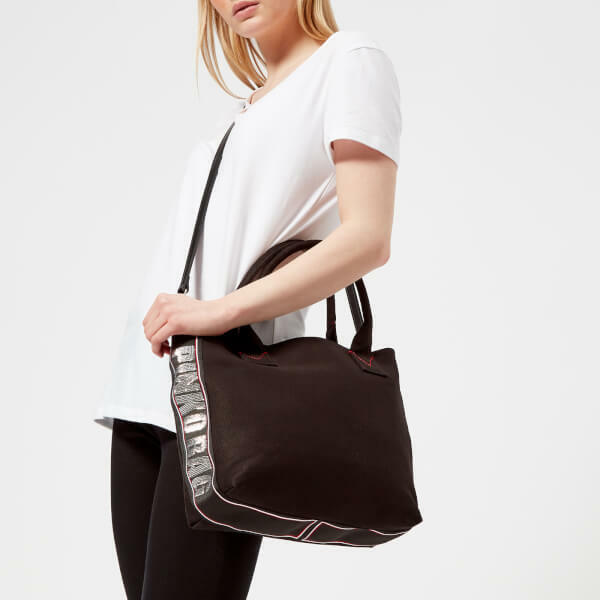 Practical and lightweight, the ‘Abadeco’ bag boasts a canvas construction and features an open-top design with dual carry handles and a detachable shoulder strap. 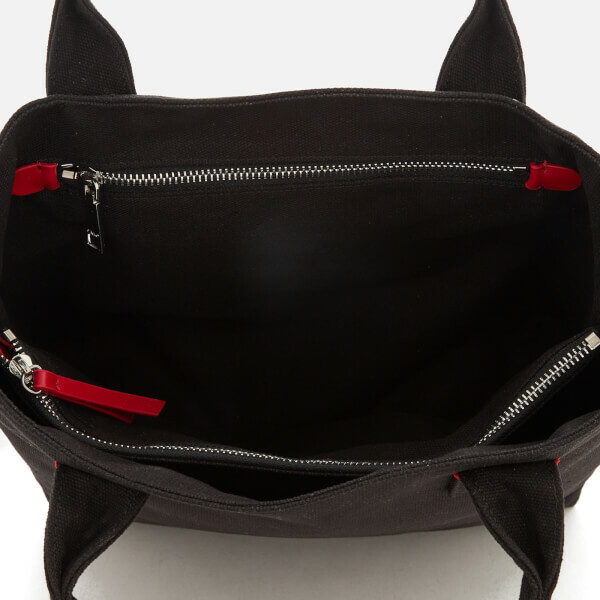 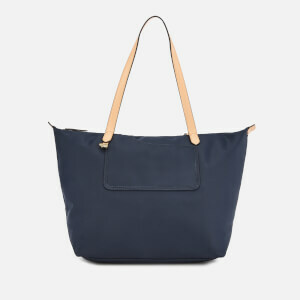 Within, the tote offers ample space with a zip pocket, two slip pockets and a central zipped compartment. 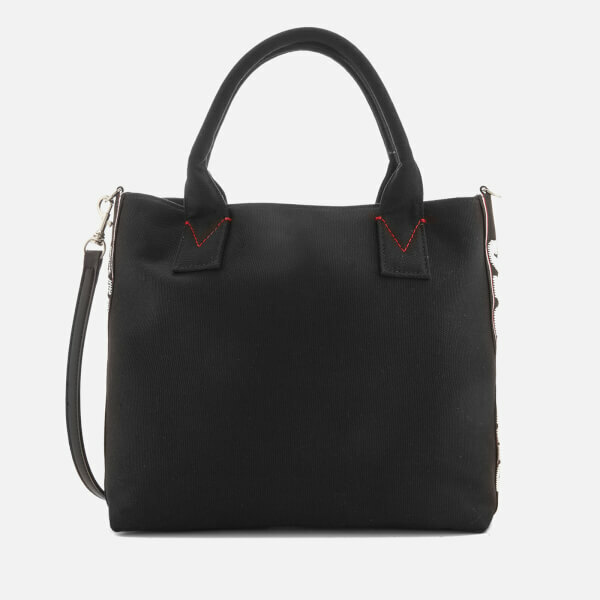 Detailed with silver-tone hardware, contrast red stitching and sequin-embroidered Pinko branding to the sides.